The world's largest colour authority has chosen Greenery 15-0343 as its Pantone colour of the year 2017. Pantone Greenery is very well suited to interior design. It is a versatile colour that can recreate very different atmospheres with neutral or pastel shades, but also with bright, deep or even metallic hues. It is a hue that invites you to meditation and serenity. 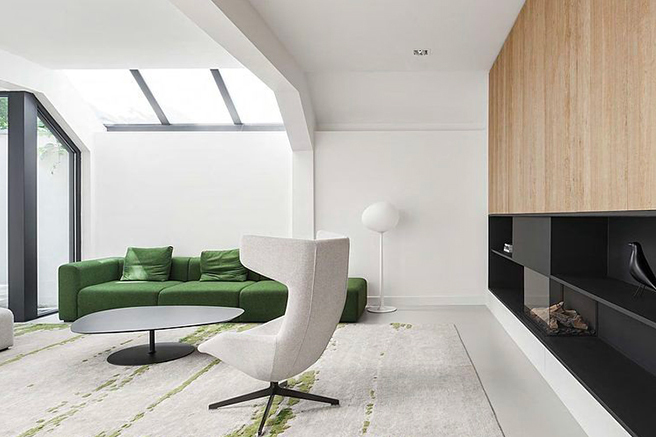 Using a colour like Greenery for interior design enhances the nature of the home as a place to recover and regenerate at the end of the day, where you can enjoy a quiet atmosphere and a sense of well-being. 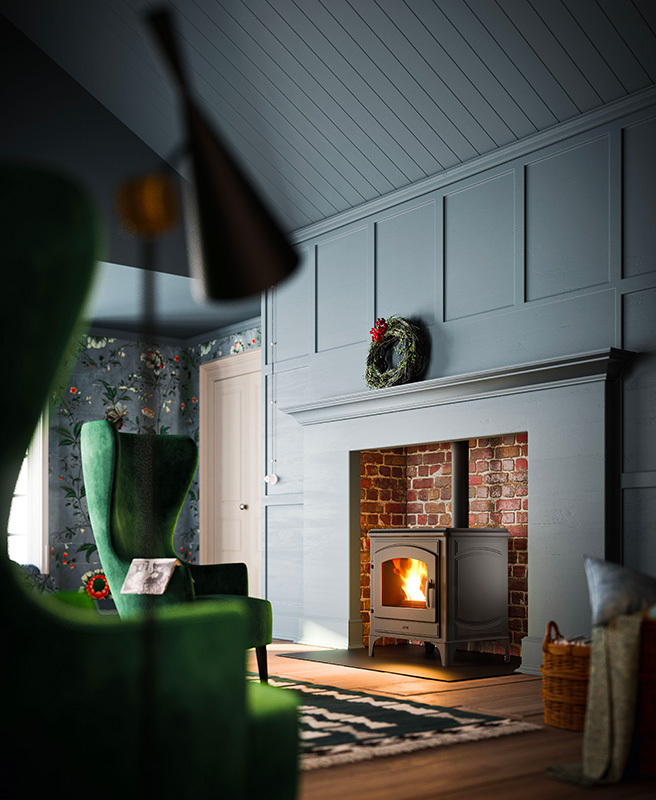 This is why green is a perfect colour for the room where a fireplace is installed, a place devoted to relaxation par excellence, but also a place for sharing, gathering and talking. 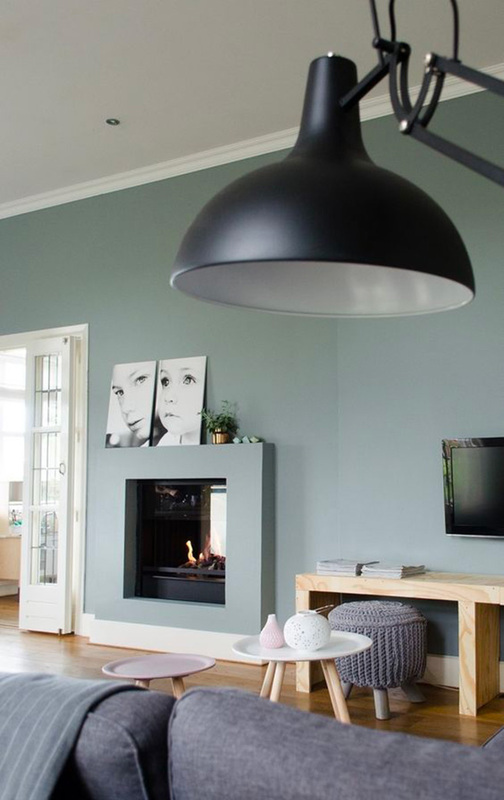 Here below some examples of chimney settings where green steals the show. Painting an entire wall green is a bold choice. This way, you revive the room by letting green into the house without the use of plants. 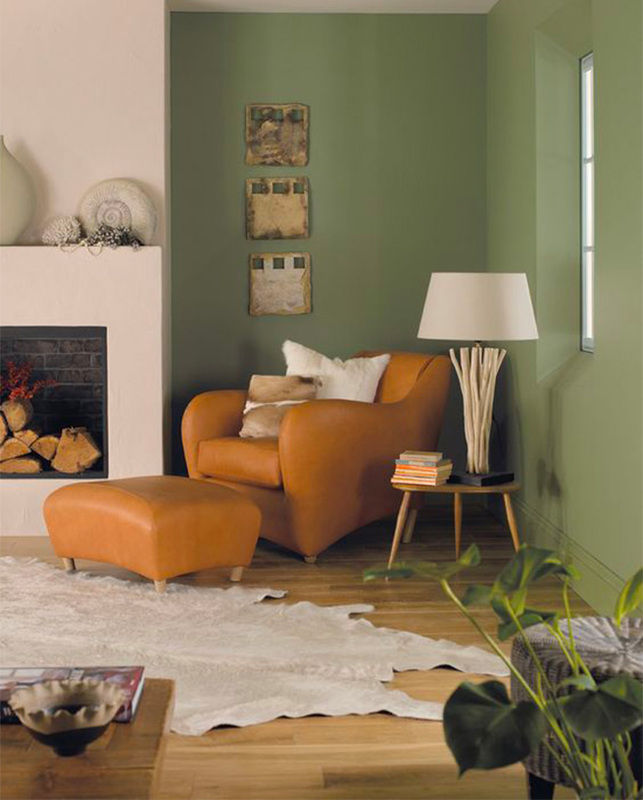 For green, we recommend choosing a bright shade and a flat colour field, applying the colour evenly. 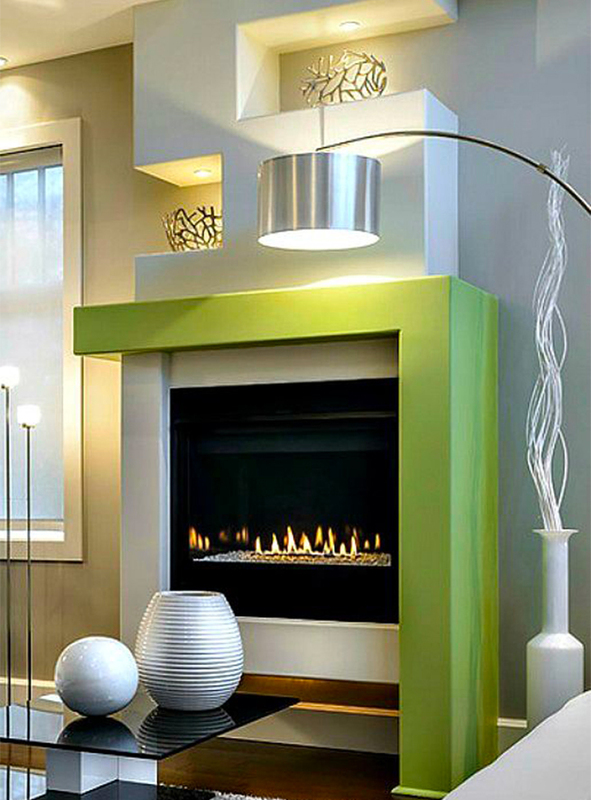 If painting an entire wall green seems too challenging, you can choose to just highlight a detail, perhaps right on the fireplace cladding. In any case, the final effect will largely depend on the combination of green with the other colours of the room and furnishings. Combined with dark tones, green will convey a retro and very British feel. 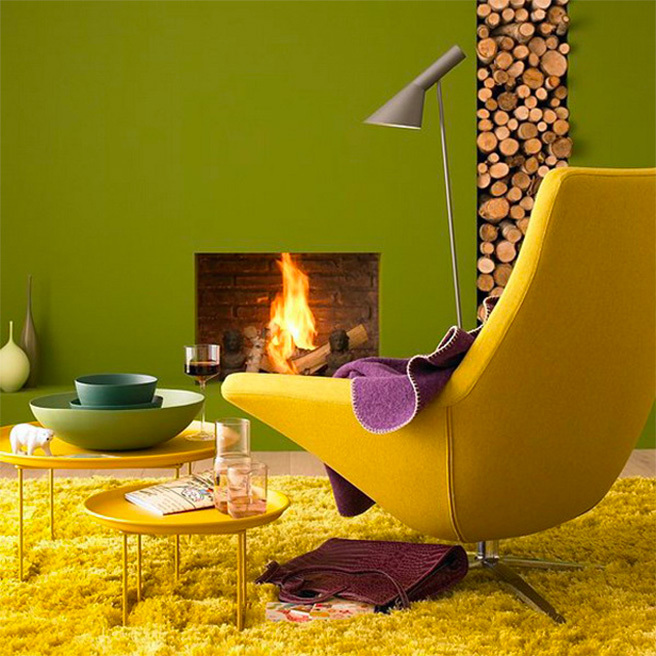 With yellow or other bright colours, Greenery will create a lively and energetic atmosphere. Combined with natural wood tones and pastel colours, the effect will be more relaxing. Finally, the combination with optical white will convey a fresh and very modern look. 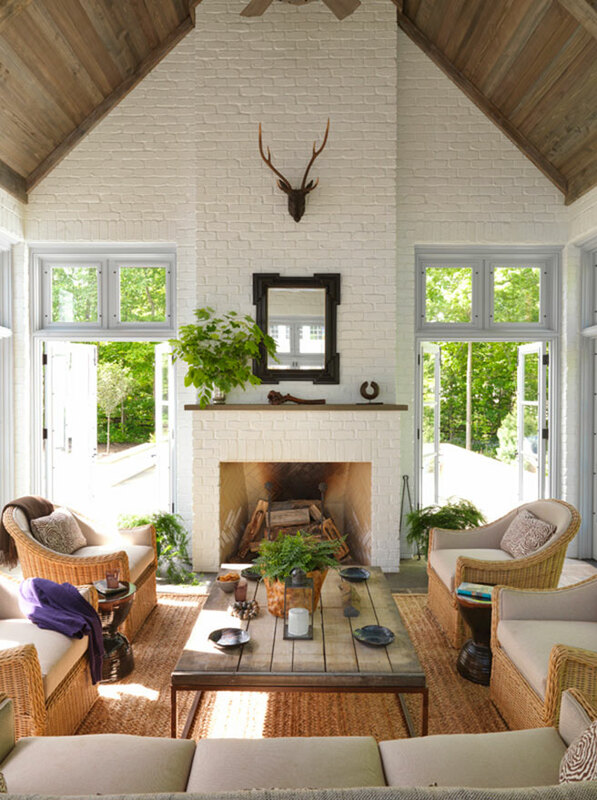 You do not need to paint the walls to let Greenery into the house. Sometimes to get the desired effect you just need to decorate the room by adding green items, such as fabrics, rugs, vases and objects. 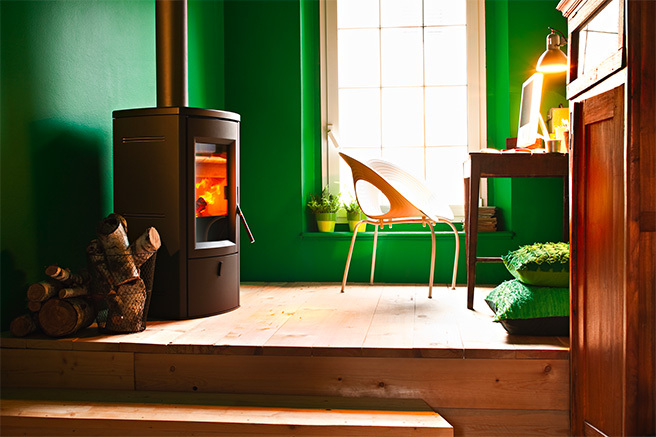 The stove itself can be chosen in a shade of green. 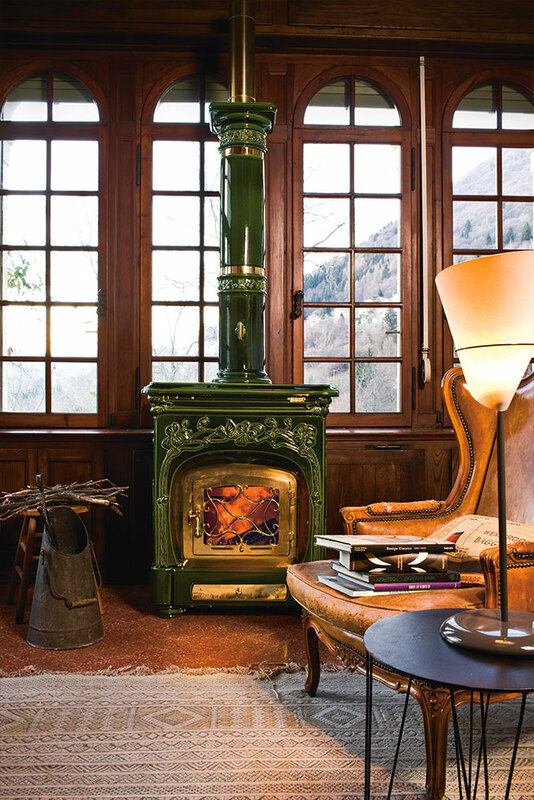 The model in the photo is a spectacular wood-burning stove by Sergio Leoni (Liberty model) made of hand-finished ceramic. The relaxing and revitalising effect of Greenery can be easily obtained with indoor plants. However, plants should never be placed too close to the fireplace, as the temperature may be too high when it is on. Moreover, since the presence of a stove or a fireplace tends to dry up the room, you should often spray water on foliage to increase the moisture rate in the air. To remedy these inconveniences, and for those who can afford it, the green that naturally comes in from outdoors becomes pure magic. Two luxuries to indulge in: large windows without curtains and a lush garden in sight that changes colour depending on the season. 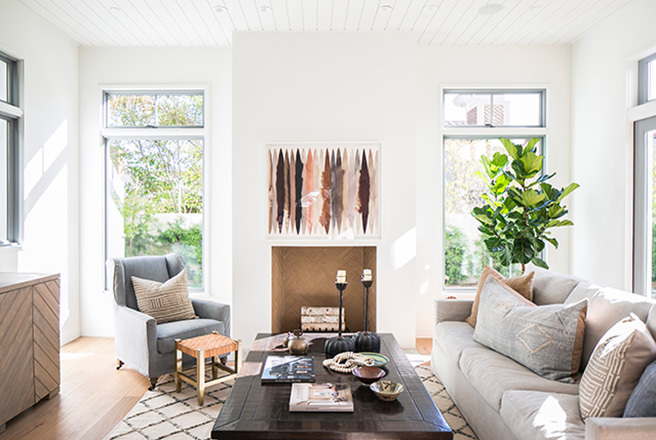 In this case green will steal the show in terms of interiors, but without entering the house, providing those who live inside it with all the charm of nature.